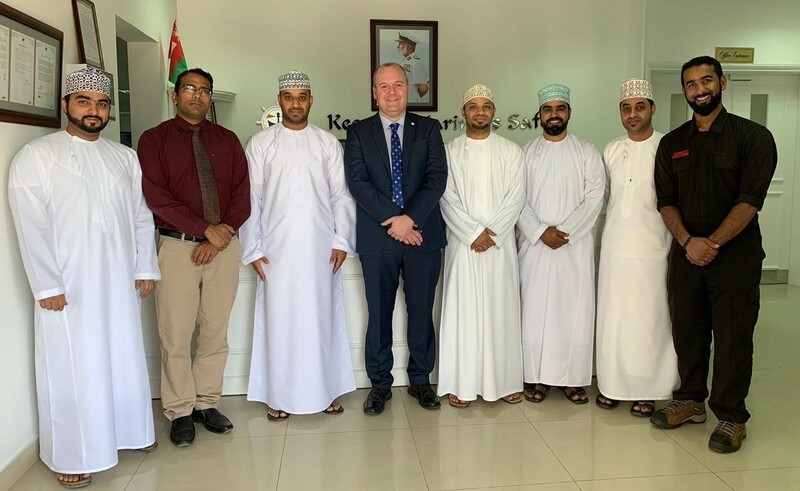 In January 2019 Mr Kevin Gregory, Education and Development Manager from the IALA World-Wide Academy visited the Arabian Maritime and Navigation Aids Services (AMNAS) in Muscat, Oman. During the visit, a facilitation briefing was provided on the accreditation and approval process for Marine Aids to Navigation Manager training courses and on how to effectively delivery the courses to an international audience. AMNAS intend to provide IALA Level 1.1 Marine Aids to Navigation Manager training from its well equipped headquarters in Muscat. The training will be delivered by AMNAS marine aids to navigation experts from both the operational and technical disciplines with support from the IALA World-Wide Academy. The training will be combined with practical visits to AMNAS aids to navigation infrastructure to put the training into practice as well as visits to other maritime organisations in Oman. This will result in the provision of a strategically located accredited training organisation and will further enhance the options to gain IALA qualifications in the region.